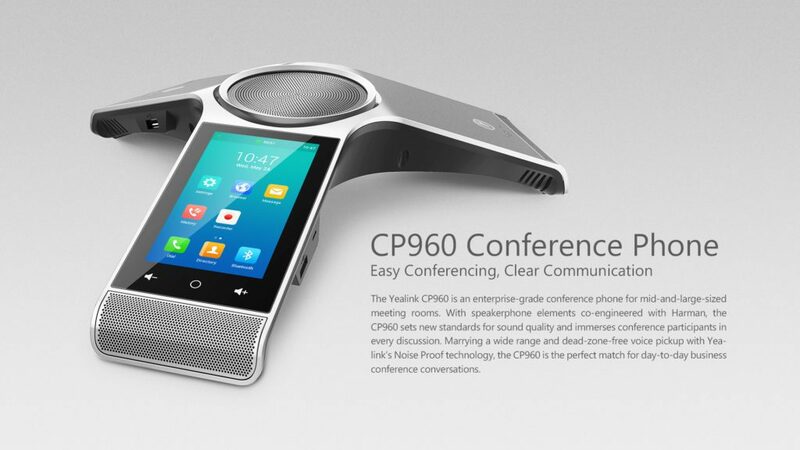 The Yealink CP960 is an enterprise-grade conference phone ideal for meetings of 4 to 6 people. The CP960 features 360 degree microphone pickup with a range of up to 5 metres. The range can be increased with adding optional wireless microphones. The 5 inch multi touch LCD screen allows perfect conference control. The Yealink CP960 is fully compatible with Skype for Business and Office 365, making for a rich and capable ecosystem for team environment. Simply sign in with your Skype for Business account; your presence status and contacts immediately sync with the SFB client. The CP960 even lets users synchronize Outlook Calendar meeting schedules in real-time- join a meeting with just a tap. When using a soft codec (Zoom, Webex etc.) on your PC or Mobile Phone, the conference call can be routed through the CP960 via USB or Bluetooth. ** Delivery and Installation in Gauteng, Cape Town and Durban. Please contact us for pricing in other regions.